95% of in-store experience is subconscious. 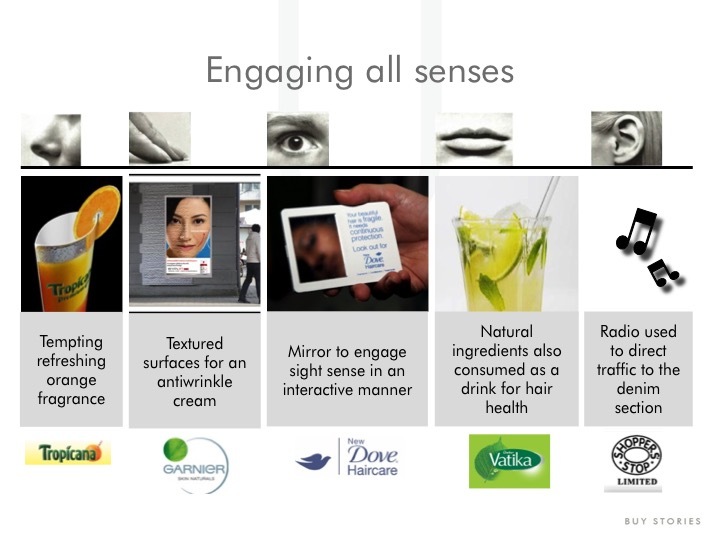 The only place a brand can engage all 5 senses is the physical store. 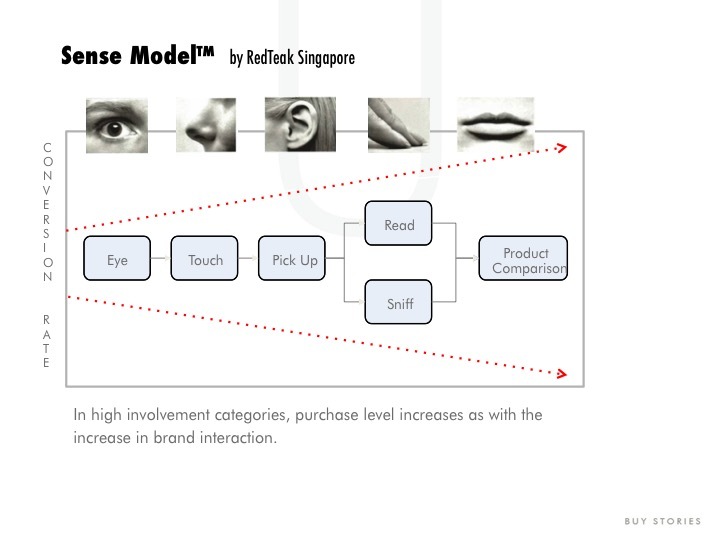 The Sense Model we use (licensed from RedTeak in Singapore) is based on the premise that more senses a brand engages higher is the rate of conversion. Sense Engagement work we have done in the past. This fantastic infographic by alternativesfinder.com tell you how 5 sense shopper engagement gives brands and businesses a retail win. This entry was posted on December 16, 2014 by thebuystories in Customer Experience Management, insights, our work, Shopper Marketing and tagged buy stories, Buystories, customer experience, customer experience management, CUstomer Experience Managenment, physical store, Shopper Marketing, shopping experience.